Avira Free Antivirus is, as its name perfectly suggests, a free antivirus software created by Avira, with a wide utilization by computer users and a huge prestige earned by now. It efficiently protects your computer against most malware, including worms, rootkits, dialers and more. The Protection Cloud Technology offers an early-warning system that checks the unknown files in the cloud, anonymously, from millions of users, to protect you from threats as they emerge in real-time. 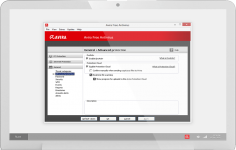 In addition to its improved performance, especially for real-time security on your Internet connections and e-mail, Avira Free Antivirus offers a new repair system: when a virus is detected and removed, it automatically cleans the registry and system files where the virus could have left traces. You also benefit from protection against the newest developed Trojans, worms or viruses due to the software’s periodically database updates. 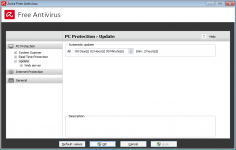 Curently we don't have any log information about Avira Free Antivirus version 15.0.45.1171 for PC Windows. We will this change log update soon!